Desert Voices seeks to offer a positive, empowering, and welcoming LGBTQA presence in Tucson, in Arizona, and beyond. In our 30 years, we have seen our circle of friends swell, and our joyous family continues to grow. We reach out by singing at local events, by finding friends in other communities, and of course by supporting and fostering our own, ever-growing community. Look here to see how we are reaching out to the community! You can see what we've been up to in our past events, and of course view upcoming events where you can hear us sing! 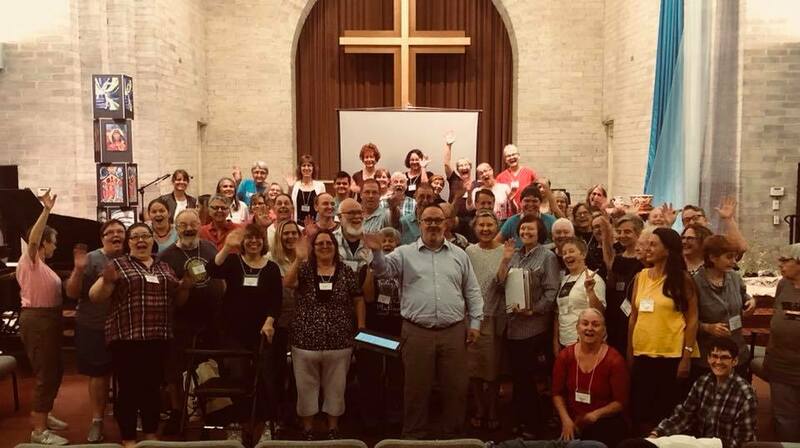 Desert Voices was so pleased to welcome Dr. Miguel Felipe to our September 19 rehearsal! He helped us understand and correctly pronounce the Spanish text to one of the songs in our Holiday Memories concert (December 2018, for more information see here), and also helped us focus our sound for the piece. We'd like to thank Dr. Felipe for his invaluable instruction, and hope to work with him more in the future! We love working with members of our hometown University of Arizona community to foster our wider community! You can find more information about Dr. Felipe's work at his website and his Facebook page. For more information about the Fred Fox School of Music at the U of A at their website and Facebook page. 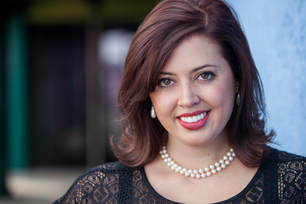 Dori Scholer is a speech-language pathologist clinical fellow who earned her doctorate (DMA) in vocal performance and second master’s degree (MS) in Speech, Language, & Hearing Sciences from The University of Arizona. Dr. Scholer specializes in the evaluation and treatment of voice and laryngeal airway disorders as well as communication and swallowing disorders associated with head and neck cancer. She practices at the UA Speech, Language, and Hearing Clinic and Banner University Medical Center North Campus in the Department of Otolaryngology, Head & Neck Surgery. Prior to entering the field of speech-language pathology, Dr. Scholer served on the music faculty at Fort Lewis College in Durango, Colorado, and she brings extensive teaching and performing experience to her practice. Her clinical and research interests include clinical singing voice rehabilitation, pediatric voice evaluation and therapy, transgender voice modification, and age-related dysphonia. Desert Voices was thrilled to have Dr. Dori Scholer from the University of Arizona come to our rehearsal! She helped us understand the musculature of the throat, neck, and mouth that allows us to sing, and gave us some great information about taking care of our voices and producing our best sound. We are so grateful for Dr. Scholer's time and expertise! We love working with members of our hometown University of Arizona community to foster our wider community! You can find more information about Dr. Scholer's work and the work of the Department of Speech, Language, and Hearing Sciences at the U of A here.